Everyone needs to go market for getting their fresh fruits. They are really very healthy to body and mind. Everyone wants to eat fruits after their meal and also during free hours. But they are not that much fresh enough. If you really want to have them fresh, then you can grow them in your own garden. But this is not a simple task to implement. It really requires a hard work to make it possible. Once you implement it then you can really get the real things in a better way. They will also give you better taste and healthy when compared to the fruits which we obtain from markets. They can also assure the healthy and clean in addition to its freshness. 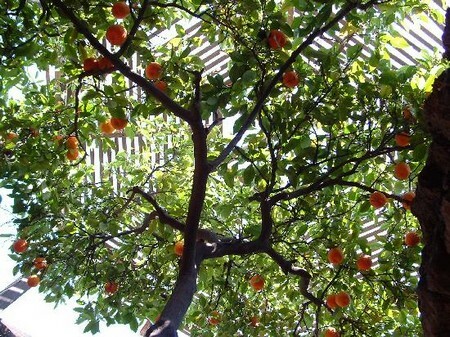 The following tips help you in creating your own sweet fruits garden in your home. You should consider the following things to implement the procedure. First of all, every plant needs water and sunlight for their growth. Hence you must select a place in your garden which should receive the sunlight at least for six hours a day which is must for the plants in order to grow healthier. Then check for the fertility of the soil in your garden. Do the following procedure to verify the soil. First dig the soil and get handful of soil and then curl it into ball shape. If you are really having loam soil in your garden then you can create a ball out of that handful soil. The ball should not be so sticky and it should be soft enough. This type of soil suits the best for growing these plants. If you don’t have such soil, there is no need to worry. You can implement some natural methods to make your soil fertile. Irrigation is the next important thing because all plants need water supply adequately for their better growth. If they don’t get enough water they will dry up sooner. Hence you must have a sprinkler system or a hose nearby your garden to get water supply. You must also remember that too much water supply can rot the roots well. Now start your plan. You can just make a plan of your own garden and allot places to different kind of plants like banana, raspberry, guava, pomegranate, etc., accordingly. Then get the seed packets from nursery and also get the instructions from them. After getting the seeds, just prepare your land as said above with some manure and organic materials. Then sow the seeds and plant the saplings and add water to them all. You have to carefully maintain them.